All Hindi courses for Fall 2018 appear under Liberal Studies and Humanities in the course search, and their suffix is GH. In 2018-19 we offer Hindi for the third year running. 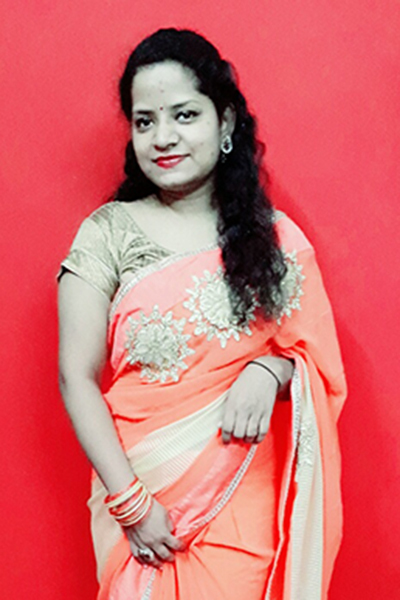 Ms Ekta Gupta, Fulbright instructor from Lucknow, in North India, will be here, teaching Hindi. Prof Vanita supervises and also participates in teaching. In 2018-19 we hope to continue to offer Hindi, taught by another Fulbright instructor from India. Hindi, which as a spoken language is the same as Urdu, is now considered the second most widely spoken language in the world, with well over half a billion speakers. The US Dept of State lists Hindi as a critical language. Numerous scholarships are available to study Hindi further in India, for a summer, a semester or a year. In 2018, two of ours students have won such scholarships. 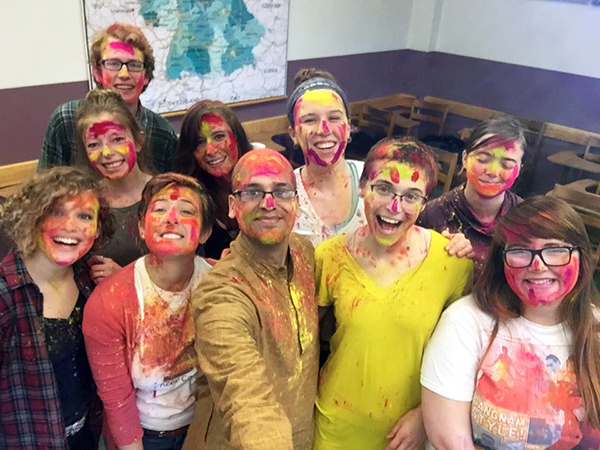 Margaret Grayson, completing first-year Hindi at UM in 2018, received a CLS scholarship to study further at the Hindi Institute in Jaipur, India. Brandon Fulbrook, completing third-year Hindi in 2018, has won an American Institute of India Studies scholarship to spend the 2018-19 academic year studying in Jaipur. Hindi is an Indo-European language related to English and other European languages. For instance, the Hindi word for knowledge and skill is vidia, from the root vid. From this same root come the English words ‘video’ and ‘vision,’ and also the Sanskrit word Veda (the name of the oldest religious scriptures in the world). Hindi is an almost completely phonetic language, spoken as it is written, every letter of the alphabet having only one sound; there are no silent letters. India, the world’s largest democracy, is a close ally of the US and is fast becoming a global superpower. The ability to speak Hindi can help you work in business, media studies, NGOs, politics, and diplomacy.